Iran announced that it had foiled bomb attacksin Tehran and several other cities and that the attacks were planned by members of the Islamic State group. “A series of bombings had been planned in several places of the country in the coming days” and those involved have been detained, a statement of the Intelligence Ministry said. Takfiri is a derogatory adjective used to refer to a Muslim who accuses other Muslims of being non-believers. Ali Shamkhani, a Secretary at the Supreme National Security Council, said the attack was to be carried out during the period of Ramadan without going into details. Iran, which has troops in Syria helping President Assad to fight terrorists and other rebel groups, has been able to avoid bomb attacks on its territory unlike other regional countries directly involved in fighting extremist groups in Syria and Iraq. 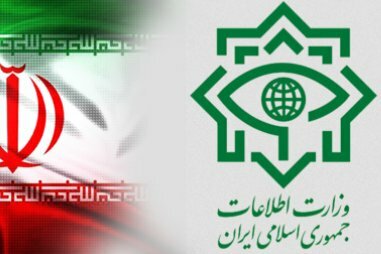 The ministry described the operation as one of the biggest against extremists in Tehran and other provinces and promised to give more information after investigations are over. Although it is still unclear if the Islamic State is behind the plot, Iranian state-run Irna news agency termed the suspects as “Wahabbitakfiris,” hinting thus that they are linked to Saudi Arabia. Wahhabism is an ultraconservative school of Islam practiced in Saudi Arabia. Such a report could reignite the already strained relations between Tehran and Riyadh as both countries continue to accuse each other of promoting destabilization agendas in the region. Last month, Iran said they dismantled 20 “terrorist groups” planning to detonate bombs across the country. Written by: Jaber Ali on June 20, 2016. Posted by Jaber Ali on Jun 20 2016. Filed under Gulf News, Headlines. You can follow any responses to this entry through the RSS 2.0. Both comments and pings are currently closed.